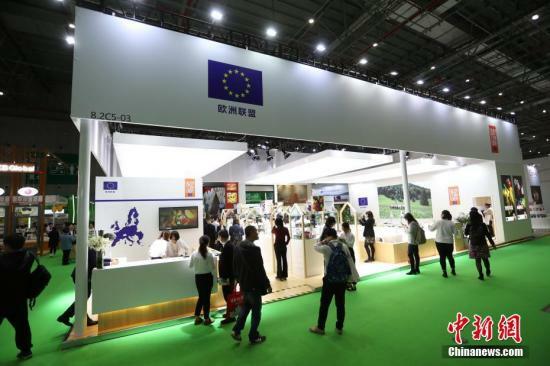 China’s e-commerce companies are competing to buy international goods at the first China International Import Fair. Netease (Kaola), the comprehensive e-commerce platform based on cross-border imports, has signed agreements with more than 110 companies for an estimated 20 billion yuan to buy baby goods, health and household products and a variety of beauty products. “These agreements are only part of the plan to expand our procurement platform across the world by $ 20 billion in the future,” said Zhang Lee, chief executive of Netease Koala. Over the next two to three years, China’s cross-border electronic commerce development will witness a golden period, and Cola will take this opportunity to help more world-class brands of quality enter the Chinese market and meet the needs of the middle-class consumer group. On the same day, Suning announced the signing of a contract worth approximately 15 billion Euros during the fair. The contract includes fast-moving brands, home appliance companies and world-renowned construction and design agencies, with 5,000 brands in the Chinese market. Sun Weimin, vice president of Sunning, said the company will over the next two years actively promote the purchase of goods abroad and establish in-depth cooperation with world-renowned retailers. In addition, the company will create more national and regional pavilions on the web platform to promote high quality goods in different countries. It seems that the Jingdong Group is more open, contracted during the fair to buy imported goods worth about 100 billion yuan. At present, the Group has signed contracts with renowned international brands such as Miji, BSH, Tiger, Delonghi and others. Lan Ye, executive vice president of Jingdong Group, said that the company will pass through the country directly established in the future, to provide cross-border supply chain in one step, promote product diversification and other measures, reduce the cost of sales to better meet consumer needs. Alibaba, China’s e-commerce giant, has been looking into the next five years, importing $ 200 billion worth of outstanding goods over the next five years, covering more than 120 countries and regions. At present, consumption has become the biggest driving force for China’s economic growth. According to official data, in the first three quarters of 2018, final consumer spending contributed 78% to China’s GDP growth, an increase of 14 percentage points over the same period last year. With the portfolio bulging gradually, the Chinese continue to show their amazing consumption power. However, e-commerce giants are not limited to purchases only, and their greatest ambition is to create a new import pattern. Alibaba CEO Jang Yong said the company’s vision is not $ 200 billion in itself, but is looking to create a “big import” model in the digital age in an innovative, ecological and collaborative way.